What is the first thing you think of when you hear the word accessibility? Maybe the first thing that comes to mind is a wheelchair accessible area. Maybe it’s a bathroom sign in braille along a park trail. But maybe there’s more to it. Every year, millions of people travel the nation to visit historic sites, parks, museums and other exhibits. Naturally, each one of these people are different, bringing with them a different background that is represented by cognitive, cultural, and physical characteristics. People are not defined by their physical characteristics, but experiences in these places can be impacted by the level of accessibility. This is where the art and science of universal design comes into play. Universal design is the design of products and environments to be usable by all people, to the greatest extent possible, without adaptation or specialized design. This is a starting point for accessibility and it will inform how you fill your accessibility toolbox. However, thinking inclusively is the best way to gain a broader understanding of how accessibility impacts experiences in the world. Everyone experiences the world in a different way. Considering the many ways in which individual’s experiences differ allows you to offer the opportunity to reach a wider spectrum of people. To expand accessible exhibit design options, it is important to understand the different ways in which people can interact with an exhibit or wayside space. Since exhibits have interpretive goals, broadening your understanding of how people learn is the best way to begin. This will help you prepare for a variety of visitors, and specifically for those who experience the world with different senses. Audio Descriptions are one of the best ways to give people who are blind or have low vision the ability to experience the visuals associated with an exhibit/wayside. For this, trained audio describers offer commentary observing the visual elements of an exhibit or wayside. This can be used to accompany with video and film or it can be associated with still images in your museum/exhibit space. Once the audio descriptions are scripted and recorded, you will need to deliver the audio via loaner handheld devices, personal smart phones, or in-exhibit audio players. 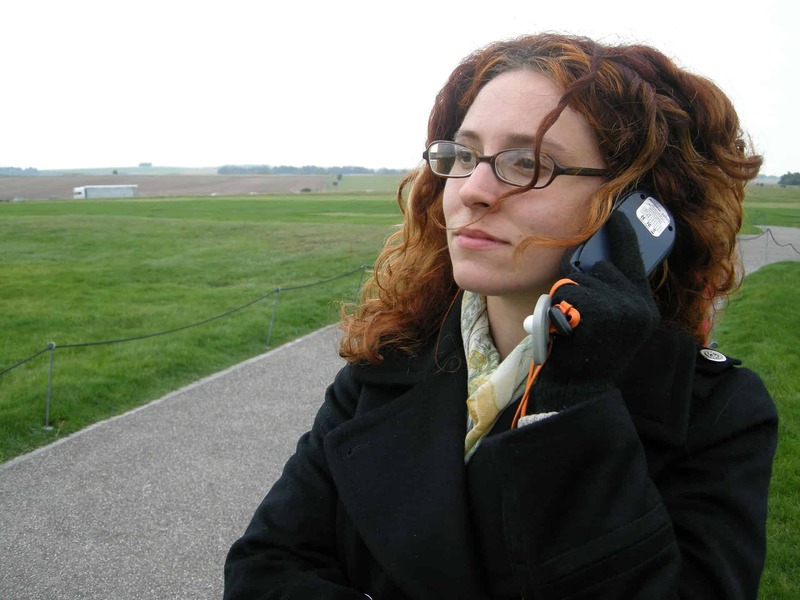 Audio descriptions can greatly improve a visitor’s experience if they have low vision or are blind. At Castillo de San Marcos, audio descriptions were able to change a great exhibit experience for some into a great experience for all. 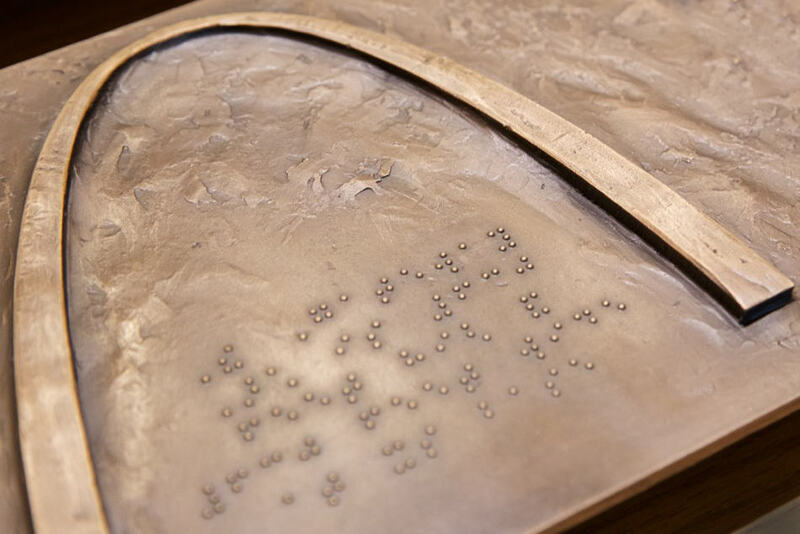 At Jefferson National Expansion Memorial, Braille was used to make clear important information regarding the Gateway Arch. Braille provides function and the location of various working controls within your exhibit/wayside space for those who are blind or have low vision and are Braille literate. This is helpful for navigation and to communicate important ideas. Raised lettering can be an effective way to communicate with visitors. However, raised lettering will take up larger amounts of space on exhibit panels or waysides. So, although this is an effective way to communicate, raised lettering can bring about difficult discussions regarding what information makes it to a panel and what does not. For the award winning Bison Herd Waysides project, raised lettering was paired with a tactile to provide context. 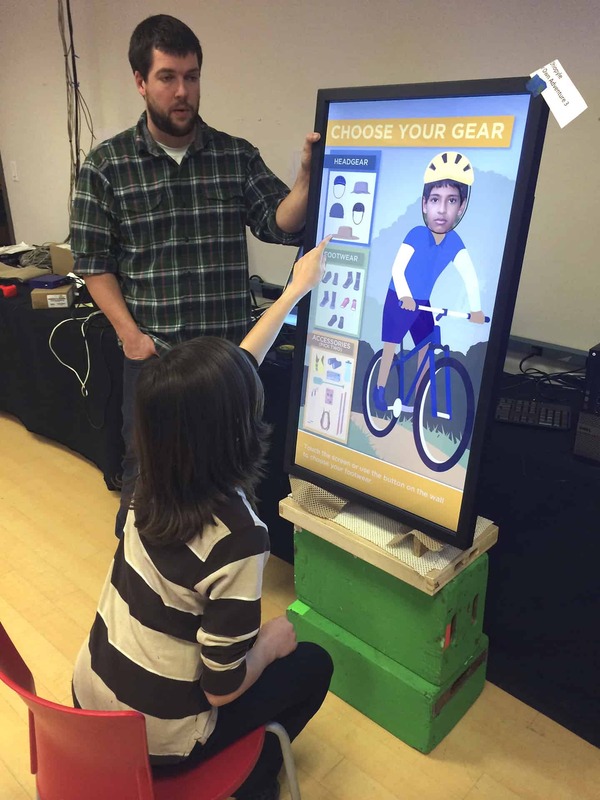 Other three-dimensional tactile displays can be a great way to illustrate the space around an individual. While braille and raised letters benefit those who cannot see, a touchable model with an interpretive element benefits all visitors. But there are difficulties in providing context in some cases. 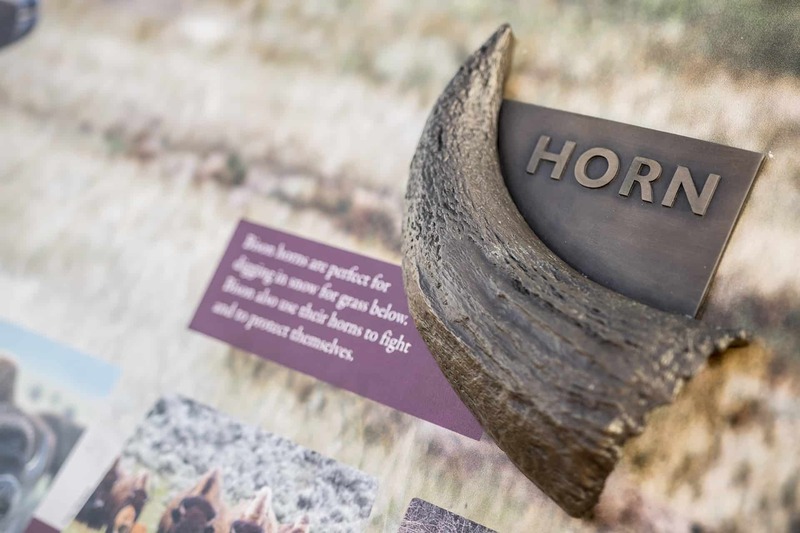 For example, if a tactile of an animal bone is attached to a wayside or exhibit panel, there is no context offered for the surrounding sections of the animal. What is the bone attached to? Where is the bone located on this animal? These are questions that may not be answerable for those who are blind or who have low vision. Keeping in mind the contextual effectiveness of tactile objects is important for them to successfully communicate their intent. In this case, pairing written captions with braille and raised letters for the most effective context and interpretation. For wheelchair users and people with mobility impairments, exhibits and waysides, depending on their location, can present challenges. Making your exhibit or wayside space ADA (Americans with Disabilities Act) or ABA (Architectural Barriers Act) compliant is the law. But the spirit of the law can push further and provide exceptional experiences for people to view your content. For example, it is important to consider the way in which a wheelchair user sees the world. Because wheelchairs are lower to the ground, a wheelchair user’s ability to see information on a wayside or exhibit panel may be impaired. Taking this into account will help you understand that changing panel height and taking up minimum space can provide an easier experience for those with limited mobility. For cane users, an overhanging exhibit could be an issue that could surprise or even injure a visitor. For people with low vision or blind visitors, finding the right place to trigger audio descriptions or find braille content can be its own challenge. But a simple solution, such as transitioning from carpet to a hard surface, could be all that is needed to signify a trigger location. At Ohiopyle State Park, all of the exhibit panels were height tested to be accessible to those with disabilities. Mobile apps are effective ways of communicating information to an exhibit visitor because almost everyone has a phone. And almost everyone has their phone with them at all times. In that case, if internet is required, you should provide it. For people with disabilities, this offers an already well-known way in which to access information. Functions like “guided access” or “pin the screen” on IOS and Android devices can push the experience that much further. According to a 2018 Pew Research study, 95% of Americans now own a cell phone. 77% own a smartphone required to run mobile apps. Ultimately, having multiple entry points to your subject matter is beneficial. 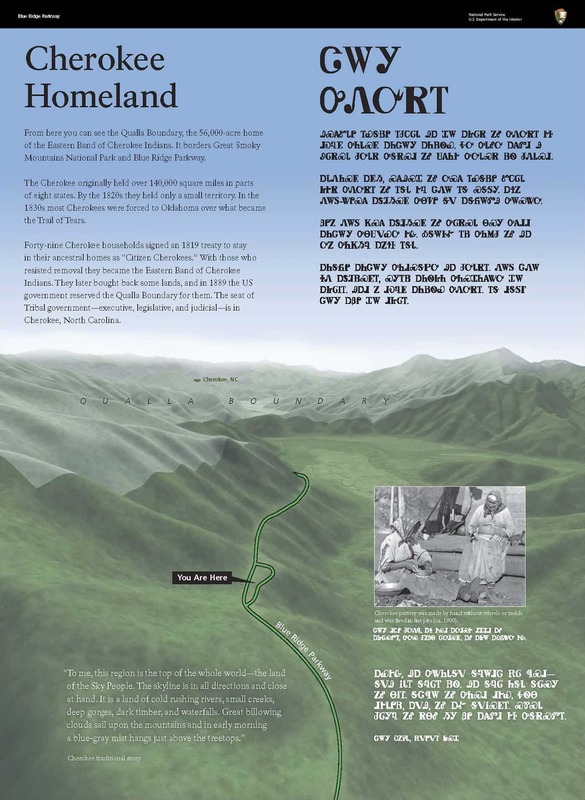 This panel from Blue Ridge Parkway exhibits the use of multiple languages to communicate to people from different backgrounds. What most might be unaware of is that accessibility is not only to provide for people with disabilities. Cultural backgrounds change the way people see the world around them as well. And in some spaces, it might make sense to have exhibit/wayside information displayed in multiple languages. Language is power. Including multiple languages on an exhibit or wayside panel makes a statement. Putting one language smaller than another also makes a statement. Including multiple languages is welcoming. In addition to language accessibility, the context in which you present subject matter is important. In addition to context, reading level and overall subject length are also very important to consider. Providing additional contextual information when possible allows the telling of a more complete story. Even still, if there is too much information, this can also take away from a visitor’s experience. Work with advisory committees as part of exhibit development to find the sweet spot. The purpose of universal design is to allow a larger spectrum of audiences to visit and fully experience exhibits, waysides or any other interpreted public space. Over the years, best practices have been penned and effective tactics have been deployed to achieve such a goal. But the quest for a more accessible space continues. And you shouldn’t limit yourself to the list of accessibility strategies above. This list is a “top hits” of accessibility and there are many more options. 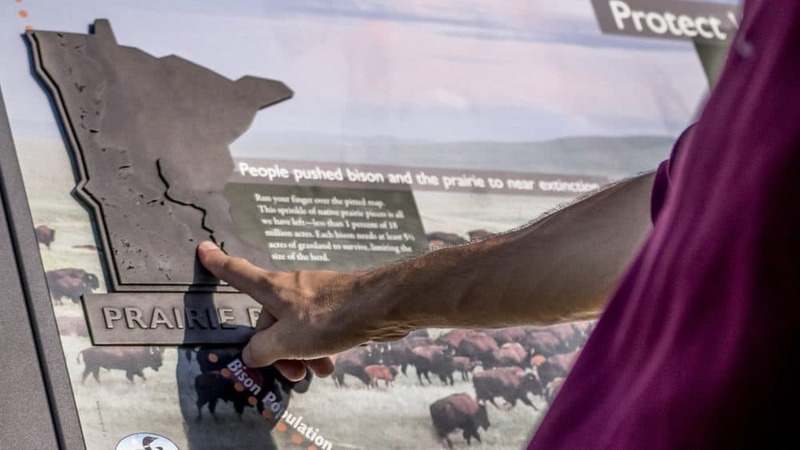 But even guidelines such as the National Park Service’s (NPS’) guide to accessibility or the Smithsonian’s Guide to Accessible Exhibition Design don’t address all design challenges. So, within your own interpretive design process, think about what more you might consider in exhibit/wayside design to enhance the experiences of people with disabilities as well as those who come from a different background. Michael is dedicated to utilizing multi-media platforms to tell stories. 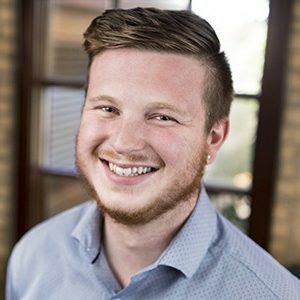 He has worked with Minnesota Public Radio News in St. Paul and City A.M. in London as both a reporter and business analyst. In his free time, Michael enjoys cheering on the Minnesota United Loons soccer team.